CA Interiors provide a range of specialised project management services designed to ensure the renovation or refurbishment of your home or commercial space is a stress-free experience. Passionate about design, our planning and management service deliver smart, sensible and original solutions that enhance your space. If you are a busy professional with limited time to source and coordinate the purchase and installation of furnishings and manage the decoration process – speak to a project manager. We have a pool of architects and contractors that are fully equipped to implement your redesign and renovation project. Our experience and range of skills ensures we complete every project to the highest standards and you are completely satisfied. You can relax without the anxiety and uncertainty of dealing with suppliers and building contractors. Each project is unique and comes with different challenges, but our project manager will act in your best interest to source, procure and appoint the appropriate sub-contractors and suppliers. Project management relies on appointing the right people for each project and we focus on cost, quality craftsmanship and service so you’ll never be disappointed. 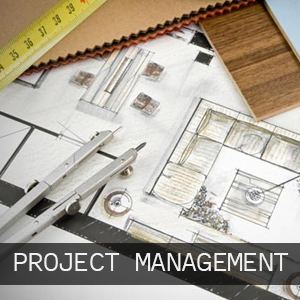 Your project manager works closely with the project team to ensure your project is delivered on time and on budget. Our Project Management Fee is a percentage agreed between CA interiors and the client. If you want to find out more, get in touch with CA Interiors.